a3Genealogy: 805 Pioneer Infantry A.E.F. Kathleen, this truly is a treasure. I think you were meant to find it! You are very lucky to have this piece of treasure in your possession. 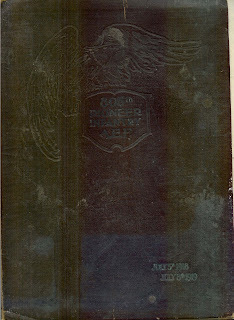 Hi my great-great grandfather pvt.ben sledge served in this company are there a list of names or photos in that book ? 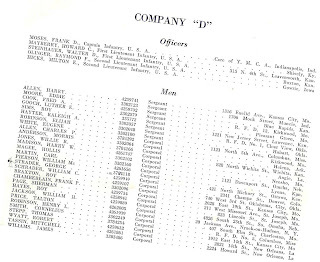 Although we know Ben M. Sledge served with Company G of 805, in referencing the book, he is not pictured or listed with the Company. His military service records may provide more information. We know he served overseas, but perhaps with another company. We do not have an indexed list of all of the service men of AEF 805. 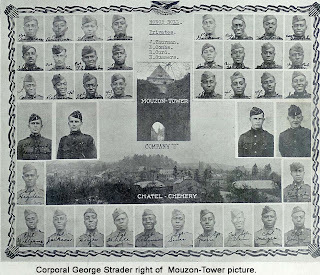 Does anyone know about the 808 Pioneer Infantry? My uncle was assigned to that unit and saw action in France. I'm searching for more info on the 808th as well. My great-uncle served as well. He is buried in the Meuse-argonne cemetery in France.